The following is excerpted from an interview with editor Christian Nyby that critic Ric Gentry conducted in 1991. It originally appeared in the journal Post Script: Essays in Film and the Humanities in fall 2005. Nyby cut four films for director Howard Hawks—To Have and Have Not (1944), The Big Sleep (1946), Red River (1948), and The Big Sky (1952)—and went on to become a film and television director. Let’s start with how it was that you came to edit Red River. I was at Warner Bros. at the time, doing a Raoul Walsh picture called Fighter Squadron. I was at the studio, working in editing room 8, when Hawks called me at about 9:30 in the morning. I was a little surprised to hear from him because he was on location in Arizona shooting a western. As I found out, he’d been working there for twelve weeks and now he was back at the Goldwyn Studios (before shooting another eight weeks). Hawks had signed on with an independent company called Motion Picture Investors. He had a contract with Warner Bros. for three pictures but got into some dispute and left after two of them. Getting dispensation from Warner Bros. could take a while, but Hawks made a call to Jack Warner, who he found wasn’t at the studio or at home but on his way to Europe on the Queen Mary. So Hawks reached him on the boat by transatlantic cable. He was probably pretty surprised to hear from Hawks, but they worked it out, and Hawks got an okay for me to be loaned out. So what I did was work on Fighter Squadron during the day, at the regular hours, and then drive over to Goldwyn and work at night on Red River, from about 6:00 p.m. to about one or two in the morning. I’d only get a few hours sleep each night. I was living in the Valley at the time, so I’d drive to Burbank in the morning, to West Hollywood in the evening, and back to the Valley again in the early hours. I did that for about six weeks, until I finished Fighter Squadron. I had to take apart all the footage that had been assembled and restore it to the way it was in dailies so that I could see it all and break it down before I could start on another cut. And Hawks was using up to eight cameras for the cattle-driving sequences, with each camera shooting an entire magazine of film, which is one thousand feet each. Dailies up to that time amounted to about half a million feet, much more than Hawks usually shot. It was just an awful lot of film. And more was coming in every day. There must have been 700,000 to 750,000 feet before Hawks was finished. 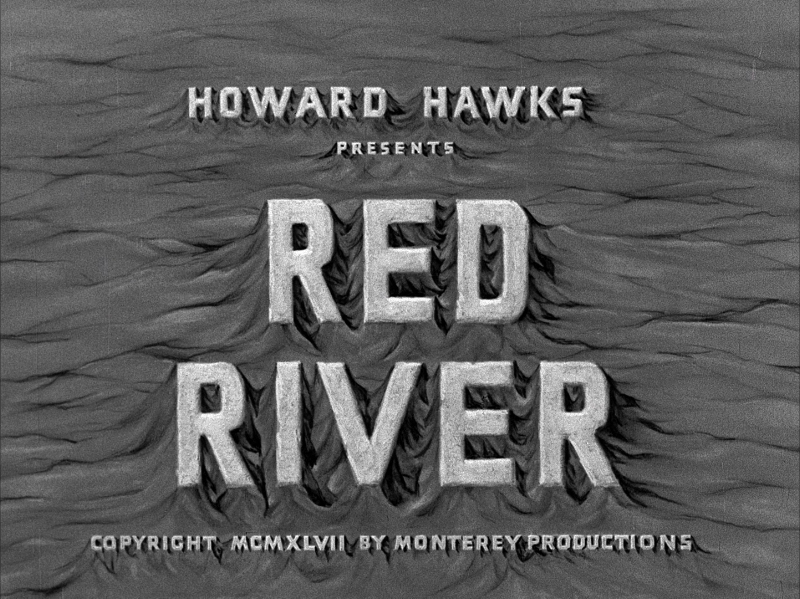 Aside from the unusual situation of working on Red River at night, and the large amount of multicamera footage, in what other ways was this different from how you usually worked with Hawks? On the other films, I’d cut sequences as Hawks shot them and then visit the set when I was caught up with what I was working on. A lot of times, Hawks would rewrite scenes as the production went on, especially the dialogue, and I’d get an idea of what changes he’d make and know what to expect in the editing room. Red River was much different because I couldn’t anticipate what his intentions were for each scene. He’d been far away, and there were none of the daily conferences or anything else. And there were no script notes to speak of. Usually, there’s a number for each shot and a line drawn through the script indicating its duration and whether it was a long shot, medium, or close-up. I didn’t have anything like that because the script supervisor had failed to keep consistent notes. I just had to run the film and find out for myself what each shot was, and then start to cut it by keeping it all in my head. And because Hawks made so many changes, you couldn’t cut to the script. You had to cut to the picture, which had no correlation with anything else. I just had to do it on my own. And Hawks was still shooting. Is there any particular scene you can recall where you had to determine for yourself what Hawks had in mind? In the scene where Dunson [John Wayne] makes it clear to the emissaries of the Mexican landowner from the other side of the river that they’ve got enough land and that Dunson is claiming the acres on this side for himself, and then Dunson ends up shooting the man on horseback. For me, it was a question of how fast and how dramatically you could build up to this so the audience could follow everything, from the riders ominously approaching in the distance to the encounter and the dialogue they have to the moment Dunson fires. It was really a matter of making the right cuts in the right place. That scene is also important for quickly amplifying the personalities of three principal characters (Tom Dunson, ruthless and imperious; Nadine Groot, played by Walter Brennan, loyal to Dunson but not always sympathetic to his methods; and young Matt Garth, a twelve-year-old orphan, later the Montgomery Clift character, becoming hardened by what he witnesses). Yes, you always keep the characters and how they develop in mind. In a lot of ways, that’s as important as the story. How they develop is a parallel story, in a way. But every scene in Red River was just as problematic, all the way through. It was a lot of hard work. Did you see a pattern in how Hawks structured his shots that helped you piece the scenes together? Howard wasn’t a standard shot man: long shot, close-up, over-the-shoulder, and so forth. Every setup he made was a picture, as an artist would frame it, more or less. And he would play his scenes to the hilt, as far as he could go with them, and then break them up into smaller pieces. It was the discretion of the editor to put them together the best way he could. How long did it take you to recut Red River? I was on it for quite a while. We waited about three months for MPI to come through with a little money to reshoot the ending. All together, I was on the film for about a year. We did have a problem prior to the opening of Red River, though. They had 550 prints made, and it was going to open simultaneously in Texas, Oklahoma, and New Mexico. And Howard Hughes sued Howard Hawks for a scene near the end of the picture where Dunson gets riled with Matt and they confront each other. Hughes maintained that Hawks infringed on The Outlaw . Well, Hawks had shot the same scene in The Outlaw years before, but he quit the show before he finished it. He couldn’t get along with Howard Hughes. So I went over with [MPI producer] Eddie Small to speak with Howard Hughes, and I told Eddie, “Let Howard Hughes take that piece of film and cut it the way he wants to. Then I can judge whether it’s right or not.” So that’s what they did. Then I looked at it, and I looked at it again. I was playing a game with Howard Hughes because he would do things like this all the time. I made them run it fifteen or twenty times. So I went down and had the trims he’d taken out. I put some of it back in, reworked it back and forth, got it close to what it was before, though not quite. Then I took it back up and ran it. And he didn’t like it. He said, “No, no. That’s not going to do it.” He thought there was still too much similarity, with the shooting of Matt’s ear and so forth. I said, “Okay, I’ll trim it again.” I did that, and then he wanted to cut more, so he did it again. Now, this is going on all night. About three o’clock in the morning, he brought the projector back up, and we ran it. And I said, “Okay, Howard, I’ll go along with it if we can just put two more pieces of film back in. It’s a little jumpy the way you have it”—a reaction of the crowd here and a cut of the girl there. So I did, and we got that okayed. I signed all the papers and everything, and they went ahead with the release for the opening, and it was a great success. But the ending, this sequence still isn’t right. They’re trying to get the original ending back. It was the gunshot that took bits of Matt’s ear and the hat, and it was another sixty or seventy feet. But that was a little fun we had with Howard Hughes at the time. The scene was in The Outlaw, with Walter [Huston] shooting at Jack Buetel. It was very similar. But Hawks stole from himself quite often, and there’s nothing wrong with that. 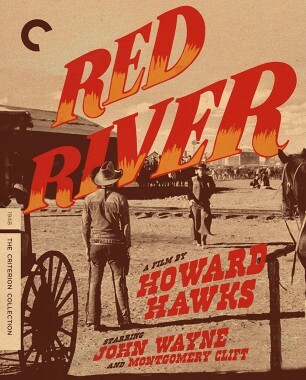 Given that Hawks had no idea what seemed awry with his film and you were made to rely on your own judgment with what was in each scene and how to cut it, it would seem that you have to take much of the credit for the enduring classic Red River has become. Well, I did play an important part in it. I would modestly say, yes. Well, if Red River had been cut by another editor, there’s little doubt that it would have been a different movie. Were you surprised when it was nominated for an Academy Award for best editing? Yes, I was pretty surprised. But I lost to Paul Weatherwax, who edited The Naked City, a Mark Hellinger film. But I was proud of Red River and think it really is quite good. And Howard Hawks was quite generous with you [for] taking on the project under such difficult circumstances. Was the advantage of being on the set the way it prepared you for the footage you’d receive in the editing room? In a way, yes. On To Have and Have Not and on The Big Sleep, I just watched and didn’t make any suggestions to Howard about what he should or shouldn’t do. He was the director, and I was the novice editor. It was later, when I took over on Red River, then I was more outspoken. And Hawks enjoyed it. He did a scene after they cross the river. They had the cattle all rounded up, and Brennan is treating Dunson’s leg, John Wayne’s character, and Monty [Clift] was there asking some questions. “How many did we lose?” I was on the set when they were doing that scene. Howard, as I was saying, had a habit of writing as he went. He had the script as a pattern, kind of a blueprint, but as he progressed through the picture, he would change a lot of it so it would all be fresh. It was the same meaning, but the words were different. But I got a call to the cutting room the next morning, and he says, “You know that scene I did yesterday? You got it in? Well, just throw it away. I don’t want to see it.” I said, “I think you made a wise decision.” It was one of those things he did in a hurry. He knew he was wrong. I’ve always assumed the editor had a lot to do with the formation of the performances and the characters. Are there techniques or rules you observe to achieve that? Hawks was a writer. He understood people. He made his screen characters become real. There was always something about them that you recognized in a person you actually knew. Red River is an excellent example. He had a lot of unknown actors who couldn’t act their way out of a wet paper sack. But he cast them for their appearance, knowing he’d be able to get something out of them. Ivan Parry, who played Bunk Kennelly, who was always filching the sugar and started the stampede. There’s a whipping scene with Walter Brennan that was only three-quarters of a page in the script, but Hawks spent a day and a half to get the performance out of this big hulk of a guy. And when he got it, it was great. But it was really Hawks doing the performance, not Ivan Parry playing Bunk Kennelly. As a director, I just hoped that I could be like Hawks. Do work as well as he did. That was my goal. I liked to tell things in a straightforward way, from the eye level. And then I liked the feeling of conversation that his characters had, giving the dialogue a little more natural feeling rather than just exchanging lines. It was more of how you’d experience it in life than in a movie, usually, or in a play. 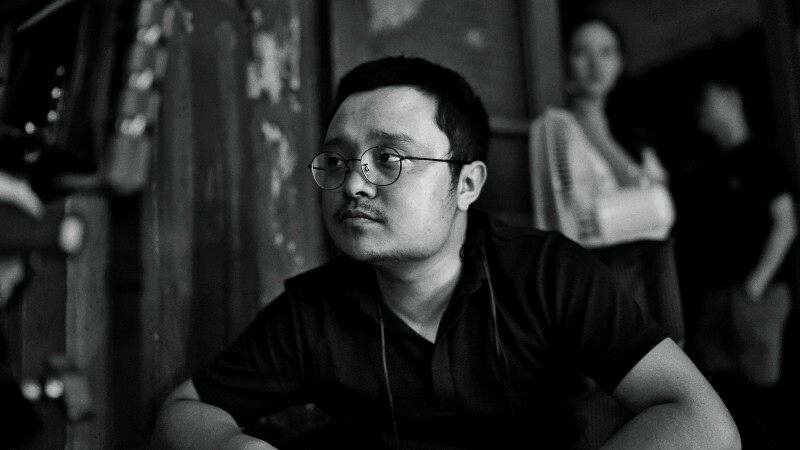 With a new film in theaters and two early works on the Criterion Channel, the Chinese wunderkind talks with us about the challenges he’s faced while forging his idiosyncratic path through cinema. 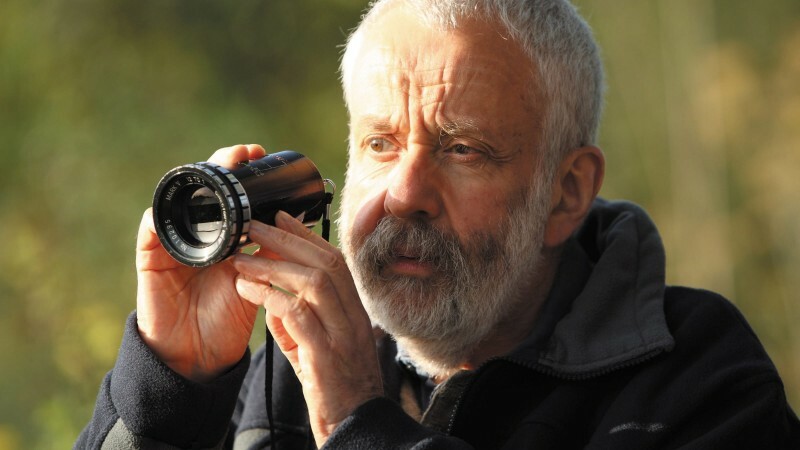 On the occasion of the premiere of his new film, Peterloo, we talked with the British master about what keeps him going as an artist and what he enjoys most about his idiosyncratic process. The filmmaker Katja Raganelli talks with us about what it was like to create an intimate portrait of the Wanda director toward the end of her life. 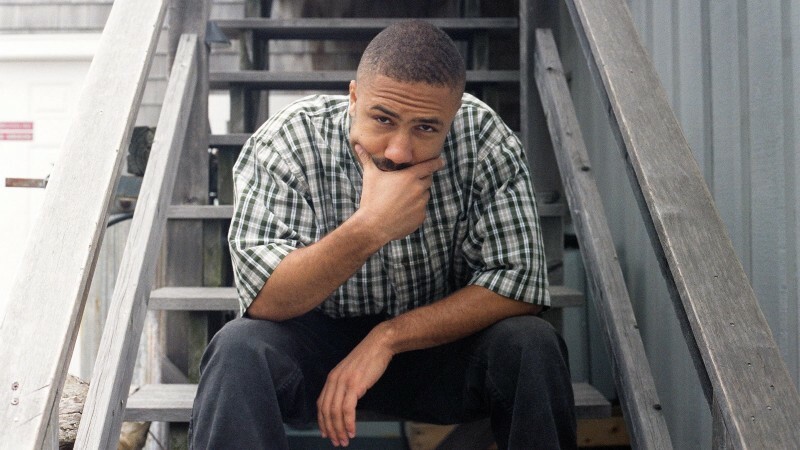 The director of Black Mother explains how the twin influences of hip-hop culture and international art-house cinema brought him to his artistic calling.